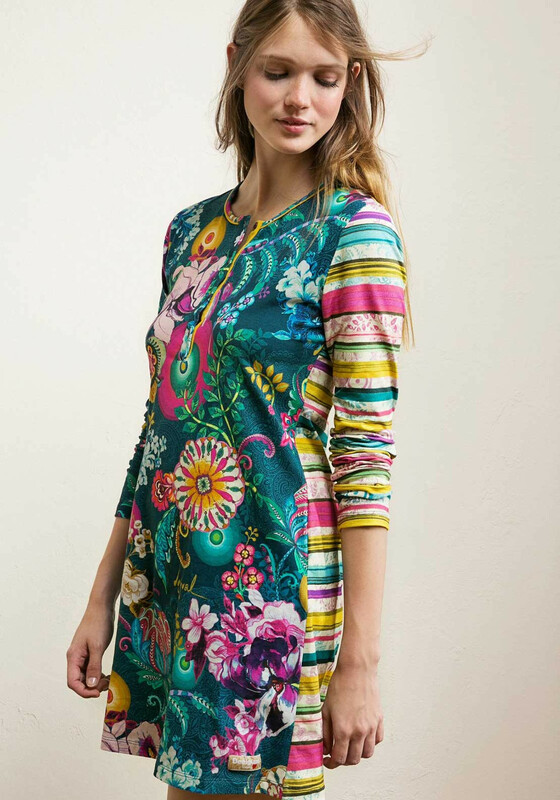 Chill out in the evening and enjoy a relaxing night sleep in this colourful nightdress from Desigual. Designed with long sleeves and a thigh length. Made from cosy lightly brushed cotton jersey fabric with a bold floral print on the front and contrasting striped pattern on the back.